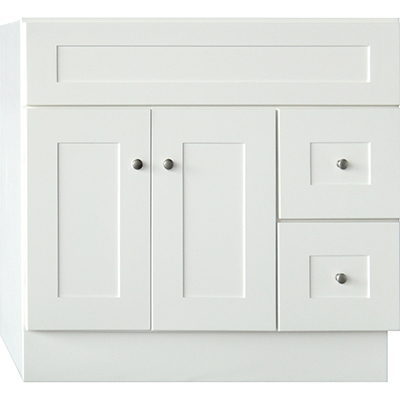 If you are looking for a beautiful White Shaker, then Elegant White Shaker is your answer. This popular line offers many options and with its bright white finish, it will make your bathroom feel warm and inviting. The cabinet comes FULLY upgraded standard!